Ahhh, the weekend. The perfect time to build up ones poison resistance, fight flying fire-breathing spiders and climb down the rickety architecture of Blighttown. I am, of course, talking about playing more Dark Souls this weekend. What else? 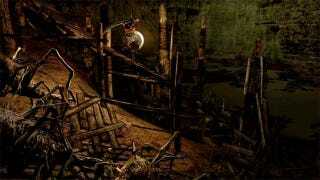 How about the Xbox 360 version of Dark Souls? Seriously, almost nothing—not even the Diablo III beta—will likely tear me away from playing From Software's game for the entire weekend. I'm determined to make it through this exceedingly unpleasant area that I've found myself in. What about yourself? Got any good gaming plans scheduled for the weekend? Let us know in the comments what's on your plate.